Congressional Black Caucus Chairman Cedric Richmond said the caucus is calling for African-American Speaker of the House or Majority Leader if the Democrats take the House and there's a leadership shake-up, according to a letter from Nov. 1 obtained by CBS News. "I'd like to reiterate that if there is any change in our top leadership positions the Democratic Members of the CBC endorse African-American representation in at least one of the top two positions of elected House Democratic Caucus Leadership," Richmond, a Louisiana congressman, wrote in the letter. He also said Democratic leadership had undervalued contributions from black members. "[O]ur celebration of diversity as a strategic imperative and strength of the Democratic Party and the application of equitable value to the roles that CDC members play in our Caucus's effort remain inconsistent with the composition of our most powerful leadership roles in the House," Richmond wrote. "After 229 years as a Congress, we have never had an African American in either of the top two leadership positions. It's time we walk our talk and provide the transformational change our constituents are calling for." The top two positions are currently held by Reps. Nancy Pelosi and Steny Hoyer. 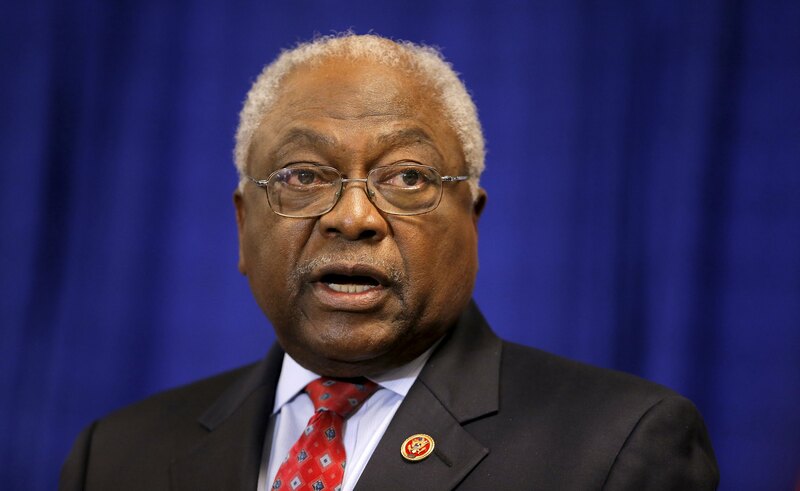 Rep. Jim Clyburn is the highest-ranking African-American Democrat, holding the position of Assistant Democratic Leader. The post was created for him after he unsuccessfully challenged Hoyer for the minority whip position. Pelosi, the first female House speaker, has floated the idea of serving as a "transitional" speaker should Democrats return to power. Clyburn has said that he would not challenge Pelosi or Hoyer if either ran for the speaker position, but has also suggested that he could be a "transitional" leader. The emphasis on transition is largely due to the fact that all three are nearing 80; Pelosi and Clyburn are 78, and Hoyer is 79. Several younger Democrats who were expected to take on the mantle of leadership have left the House, and either pursued a private sector career, such as former New York Rep. Steve Israel, or gone onto the Senate, such as Maryland Sen. Chris Van Hollen.